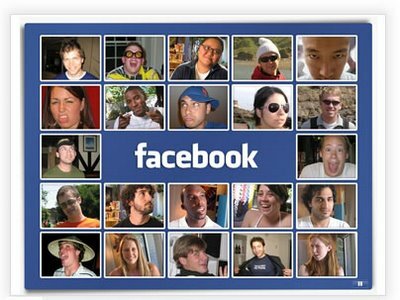 How Facebook (Social media) is changing Student Ministry. I’m always intrested in how Student ministry should be using social media. I read this blog this morning and thought I would pass it along. It’s post by Dennis Beckner:Dennis Beckner has served in youth ministry leadership for Saddleback Church in Lake Forest, CA since 1999. Dennis is a contributor and speaker to youth training events, writing projects and other engagements. Contact him at his blog, VolunteerYouthMinistry.com. 1. Our staff started a Facebook group called iPray. It’s a closed group that students have to request to join. They can post what they need prayer for and pray for each other. 3. Pictures – EVERY week I take pictures (even if it’s just a few) at our weekend service or at Chick fil A afterward and throw them up on Facebook. Students love it. Not everybody can get away with that, though. It’s kind of funny. A friend dressed up as me at our Halloween party last year and was taking tons of pictures. People kind of freaked out a little until they realized he was just being me for Halloween. I don’t know how to explain that, but there’s something to be learned about having a person known for taking pics in your ministry. We’ve never made me an “official” photographer, people have just gotten used to me doing it. 4. TAG – I usually tag at least one student in each picture and they usually tag each other from there. Always tag your ministry in each picture. As students tag each other, they might see your ministry tagged. That’s just one more door for people to check you out. 5. Have your ministry’s profile open to the general public. People should be able to see everything there is to see without being friended with your ministry. I suggest having a profile instead of a page for your ministry. There’s more stuff you can do that way. 6. Go on once a day and wish people happy birthday. That’s a great way for friends of friends to see your ministry. It’s also a great way to have an extra touch in the lives of students… especially students who have stopped coming. 7. Look for concerns. If you see students who post status updates that show they are hurting or are posting inappropriate content, shoot them a Facebook email to touch base, encourage, invite out for a Coke. Be careful not to jump on their case if they’re posting inappropriate content. Address it in a redemptive way.